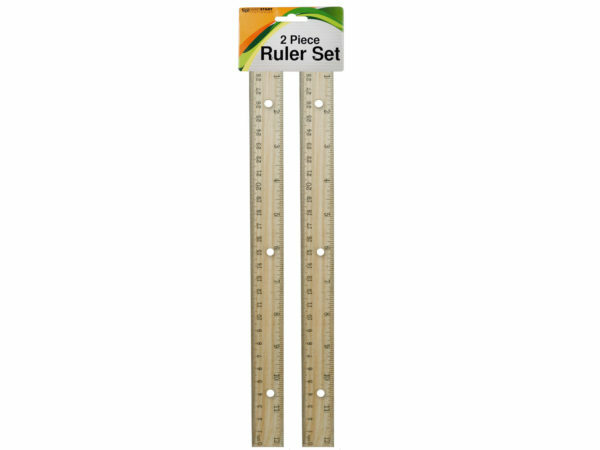 Perfect for home, school or office, this 2-piece Wooden Ruler Set features rulers made of durable wood with inches, centimeters and millimeters printed in black along the edges. Rulers also have three holes so they can be conveniently placed in binders. 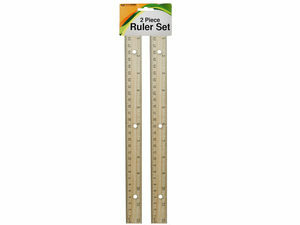 Each ruler measures approximately 12.25" long. Comes packaged in a poly bag with a header card.